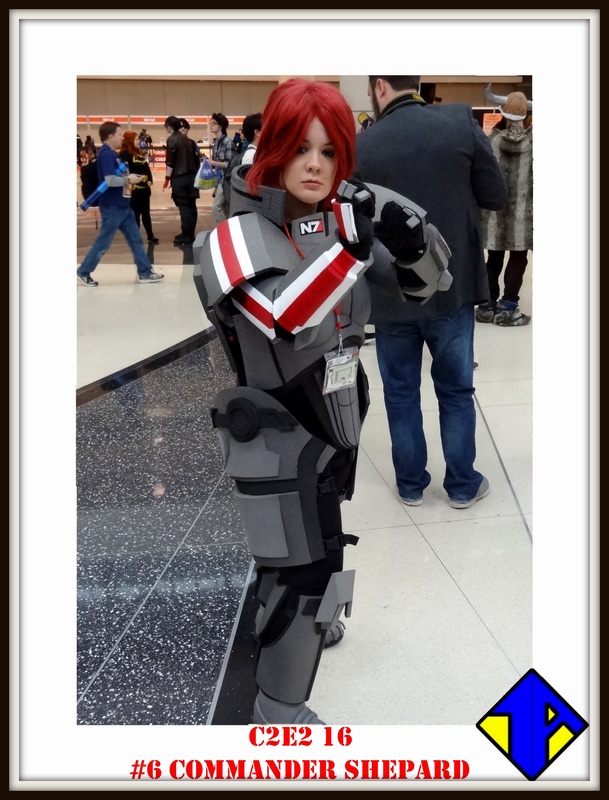 The thing we most love about C2E2 every year is the sheer amount of cosplayers that attend the convention. We get to see more costumes over the weekend than any other convention we go to during the entire year. It’s always a treat, and it’s always a tough job trying to capture as many wonderful cosplayers as we can. You helped us whittle down the list during the Semi-Finals. Now you’ve helped us choose your favorite picks from the Finals. There were so many great costumes to choose from, but after two weeks of voting, we are finally at the end. 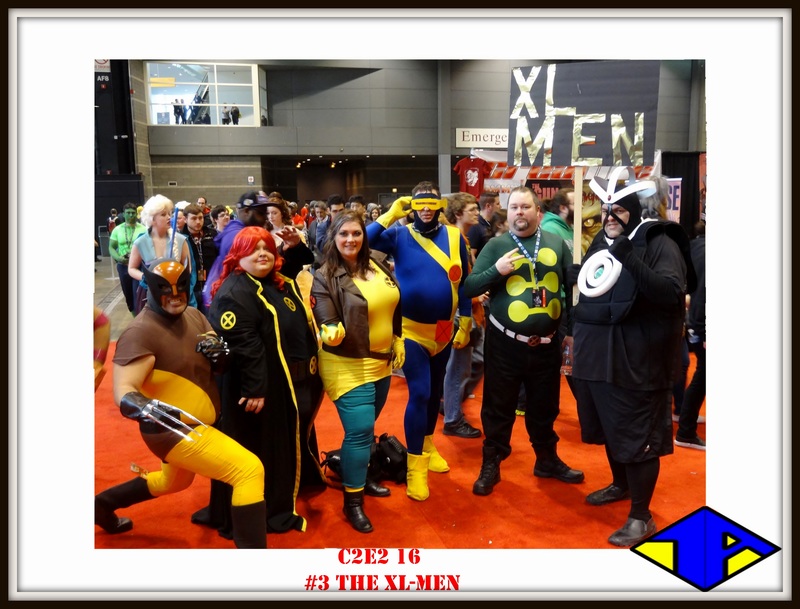 We are once again proud to announce this years winners for C2E2 in our latest instalment of Battle of the Cosplayers! 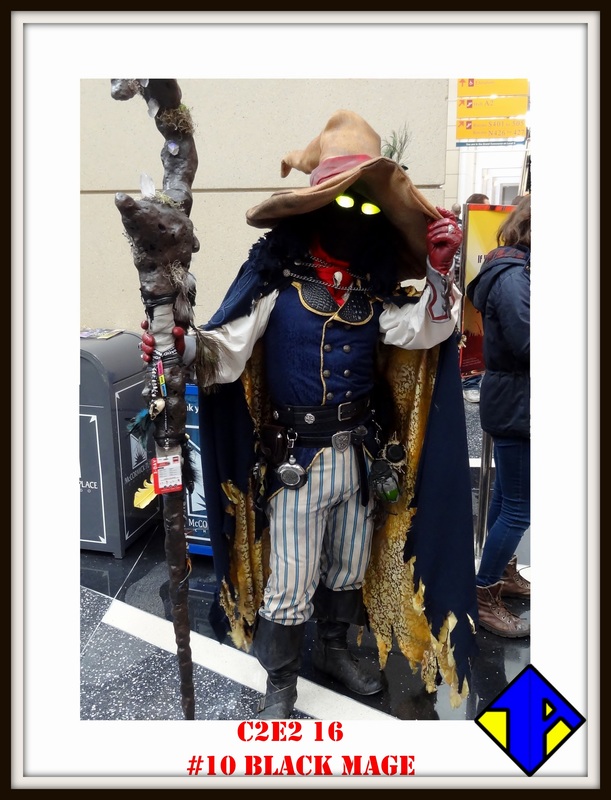 10th with 1.7 of the votes, Black Mage! 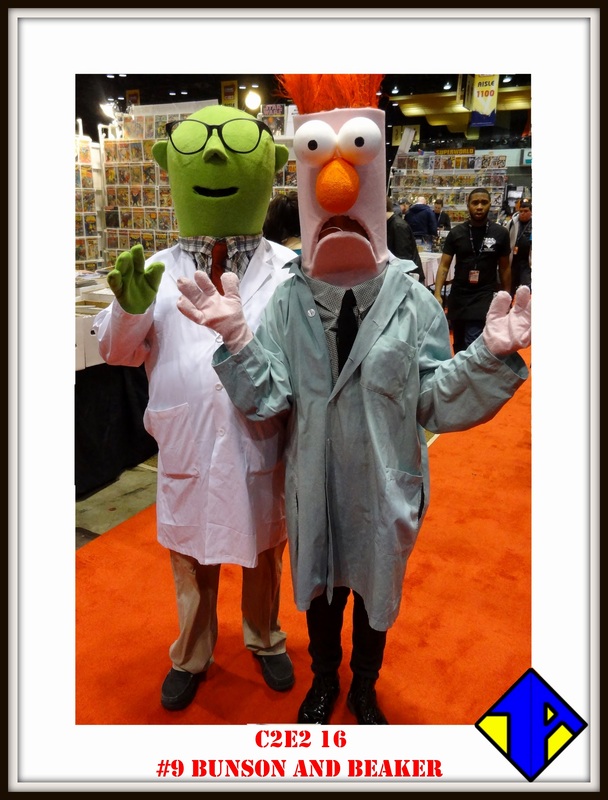 9th with 1.83% of the votes, Bunson and Beaker! 8th with 1.89% of the votes, War Machine! 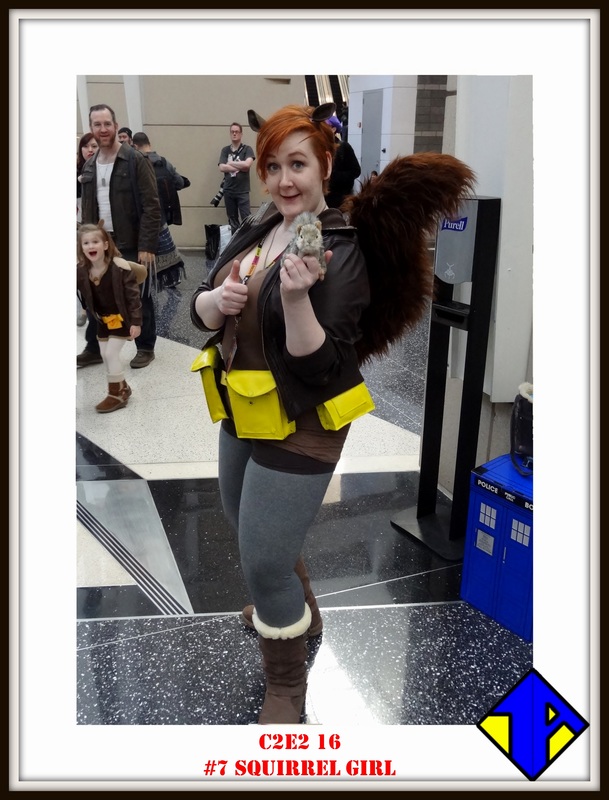 7th with 2.55% of the votes, Squirrel Girl! 6th with 5.68% of the votes, Commander Shepard! 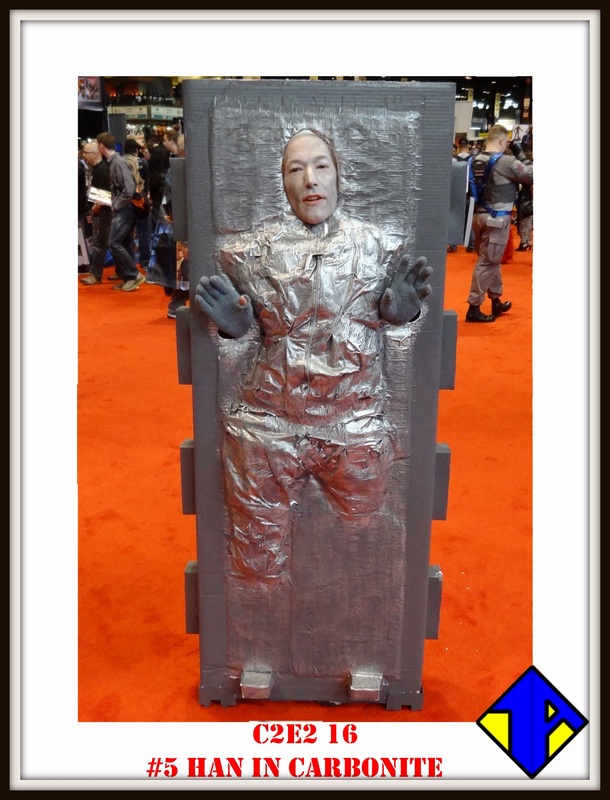 5th with 7.51% of the votes, Han in Carbonite! 4th with 10.91% of the votes, Finn! 3rd with 11.95% of the votes, The XL-Men! 2nd with 15.28% of the votes, Thangarian Nightwing! 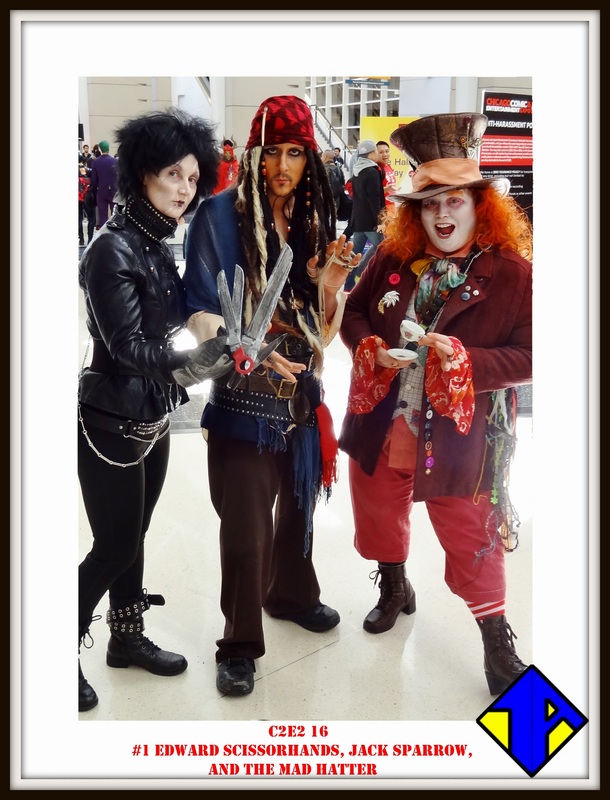 1st with 23.73% of the votes, Edward Scissorhands, Jack Sparrow, and the Mad Hatter! We want to congratulate all of our cosplay winners and thank all of our viewers that voted in the poll! Of course, a big thank you to all of the great cosplayers that came out with some amazing costumes at C2E2 2016 this year! We had a wonderful time talking to everyone and snapping pictures of some great cosplay we had never seen before. 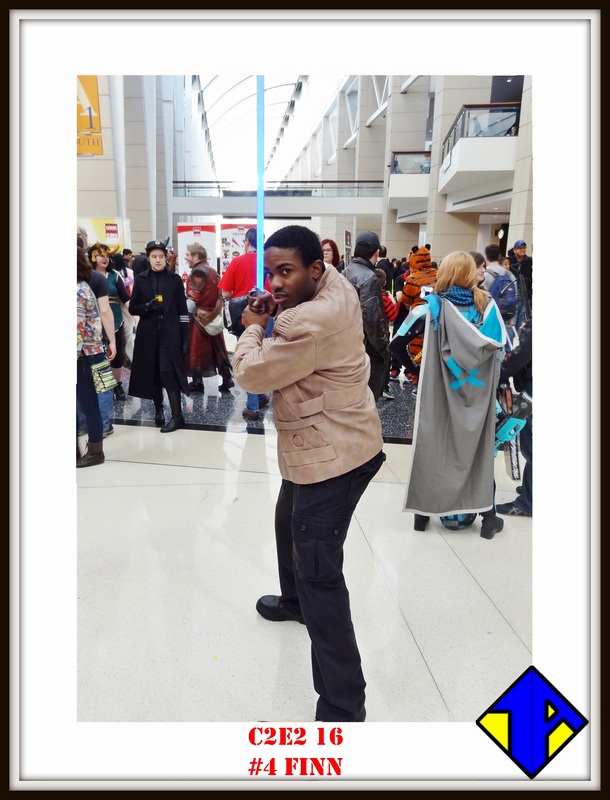 While this may wrap our C2E2 coverage for another year, we have much more cosplay coverage coming your way soon! We’re packing our bags once more and taking a trip to Seattle to check out Emerald City Comic Con this weekend with plenty of cosplay photos sure to come. Remember to follow us on Facebook and Twitter to keep up to date on all of our Battle of the Cosplayers Polls! Thank you! 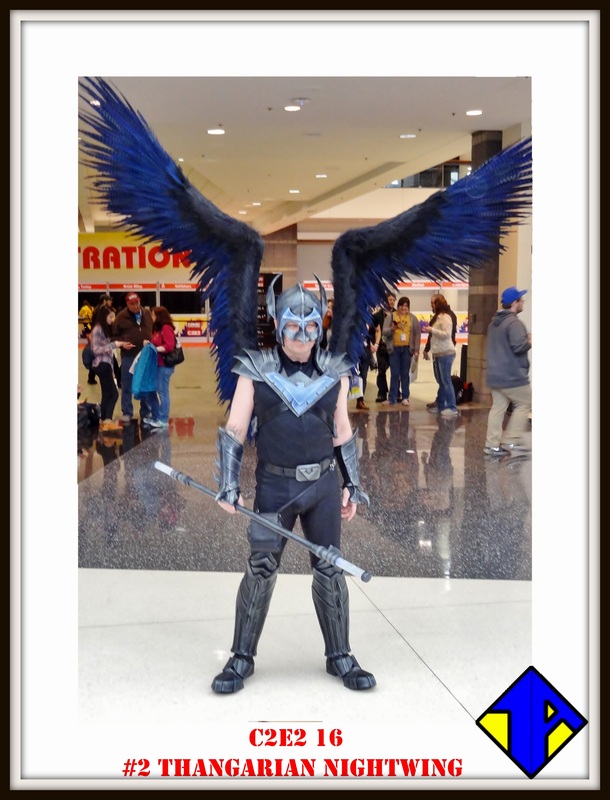 A lot of work and hours went into my “Thanagarian Nightwing” cosplay. It’s an honor being recognized!